Headaches are a common health problem, and in most cases it is easier to prevent a headache than treat one. You may not be able to prevent every headache but avoiding your headache triggers can help reduce the amount of headaches you experience. At the Mindful Healing Clinic, we can help you learn how to prevent headaches, including tension headaches. What are some steps you can take to prevent tension headaches? Some headache triggers — such as hydration and sleep — are, for the most part, under your control. But there are other triggers which are not under your control, making them much more difficult to prevent. Hormonal fluctuations during menstruation, menopause, and ovulation are an example of these triggers. Among migraine sufferers, women are three times more likely to experience a migraine than men, and 75% of those experience migraines around their menstrual period. The weather and its fluctuations are another trigger which can’t be controlled. Lastly, strong smells can be a headache trigger, and they can be difficult to control. Controlling the headache triggers which are manageable can help to prevent tension headaches. 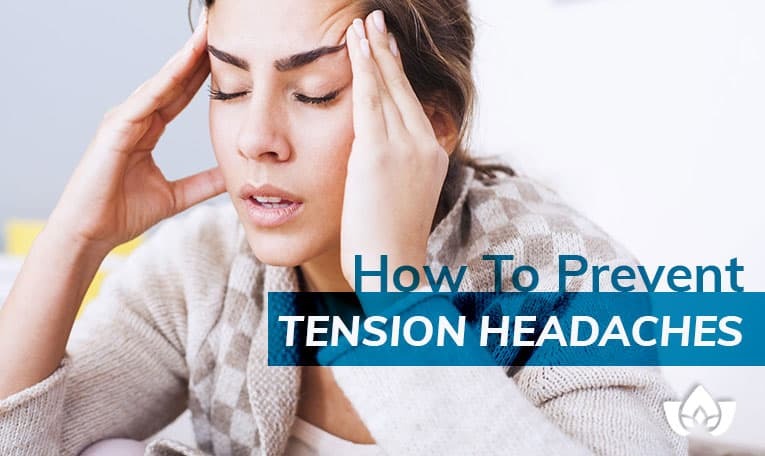 In addition to avoiding these triggers, there are additional steps that you can take to help prevent tension headaches. If you work a desk job, adjustments to your workspace can help prevent tension headaches. An ergonomic seating device can help support the upper and lower back, and help maintain proper posture. A stand-up desk can also prevent “poking chin” posture, which compresses the cervical spine and irritates surrounding structures, contributing to headaches. Staring at your computer screen too long can cause headaches, so take breaks to rest your eyes. In addition, reduce excessively bright lighting and minimize glare. Replace your old CRT monitor with an LCD monitor, which is easier on the eyes because they have an anti-reflective surface. Stress is something we all experience, but persistent stress can cause headaches. Stress is your reaction to change, and it comes from your response to stressful events. Exercise, yoga, and practicing breathing techniques can help manage stress and keep tension headaches at bay. If you have a gluten sensitivity, eating foods containing gluten can trigger a headache or migraine. In a recent study, migraine sufferers were found to be 10 times more likely to have celiac disease than those without. If you have a gluten sensitivity but not celiac disease, reducing daily intake of gluten may help manage headache symptoms. You can try eliminating gluten for several weeks, and then slowly reintroduce gluten to find how much gluten you can eat without triggering your symptoms. Other elimination diets can also aid in finding headache or migraine triggers. It’s a good idea to consult with a naturopathic doctor before beginning any elimination diet. Both too much and too little sleep can be headache triggers. In some cases, altering sleep or wake times can also trigger headaches. This is because sleep, mood, and headaches are controlled by common regions in your brain, and they use similar chemical brain messengers. Sleep-related headaches often occur at the same time of day, most often in the morning. You can help improve your sleep habits by going to bed and waking up at the same time daily, getting 7-8 hours of sleep, avoiding caffeine, and doing relaxing activities or meditating at bedtime. Poor posture can be a trigger for headaches, putting pressure on your neck and back and causing body tension. This is because the top bone of your spine, your atlas, can misalign, which causes spinal cord tension and distortion in signals to the brain, potentially leading to tension headache symptoms. Correct your posture when sitting at your desk, keeping your feet flat on the floor and your monitor at eye level. In addition, if you have a desk job, taking a break to stretch or walk every 30-60 minutes can help relieve pressure. In addition to these preventative measures, naturopathic treatments are available for tension headaches, depending on the specifications of your individual disorder. If you have been diagnosed with tension headaches or suspect that you have been experiencing them, contact me, Dr. Maria Cavallazzi, at the Mindful Healing Clinic. During your initial appointment, you and I will sit down and talk about your tension headaches and any other health concerns you may have. 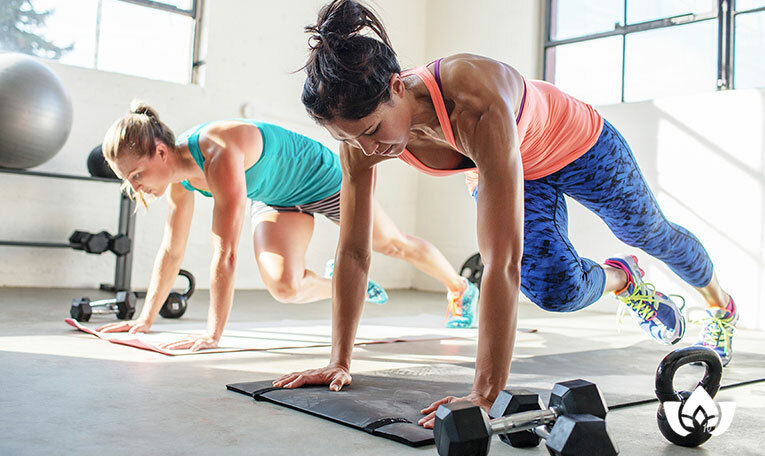 From there, we’ll create a treatment plan based on your unique health needs. Contact the Mindful Healing Clinic to book your FREE 15-minute introductory session today!